Home » Aesthetic News » Body » Would You Let a Surgeon Film Your Operation? Would You Let a Surgeon Film Your Operation? Instagram, Snapchat, and all of the other social media platforms allow people to satisfy their inner exhibitionism and voyeurism. This can be harmless in some cases, but in others, it might cross a line in the sand that divides ethical and unethical behavior. As a case in point, consider the recent trend that has been disturbing much of the plastic surgery community: The transformation of medical procedures into reality TV-like stunts. A few plastic surgeons have been making names for themselves by filming the operating suite—with patients inside. Dr. Michael Salzhauer, better known as Dr. Miami to his followers on Snapchat, has a social media assistant join him in the operating room during the procedures he performs. His office uploads pictures and videos of patients receiving body contouring, tummy tucks, and other plastic surgeries (sometimes, the procedures are streamed live), and it’s common for these uploads to have been altered. For example, one video of a woman receiving a tummy tuck depicts a dancing hot dog inside the surgical site. Dr. Miami’s antics have brought him about two million followers online, a reality TV show, and even a music video. He’s also had quite a few copycats join in the trend of operating suite stunts that many consider to be, at the very least, in poor taste. There have been reports of surgeons juggling breast implants, operating while in costume, and operating with entertainment provided by a live DJ. Snapchat filters have also been used in abnormal ways, such as by adding an infant face to a specimen of human tissue. It should be noted that all of the patients whose surgeries were filmed and uploaded or live-streamed gave their written consent beforehand—at least, in Dr. Miami’s office. It isn’t certain whether this policy applies to the copycat surgeons, or whether the patients who do give consent truly understand what they’re getting into. 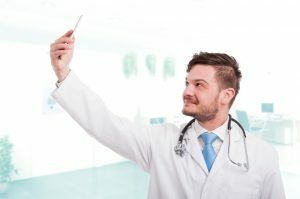 Despite the handful of copycat surgeons, most of the medical community has been taken aback by what is widely thought to be unacceptable antics during very serious medical procedures. Plastic surgeries might be performed primarily for aesthetic reasons, but there is no question that they are major medical procedures with real risks involved. New ethical guidelines have been presented before the American Society of Plastic Surgeons (ASPS). They propose to regulate the recording of surgeries and the use of social media in the operating room. In the meantime, Dr. Miami continues to engage in his antics, though they are not always without consequences. The music video he commissioned, which was intended to draw young patients to the operating room, came to the attention of the ASPS. The organization initiated an investigation under its code of ethics because the music video in question involved highly offensive language to the Jewish community. At the office of Dr. Thomas Loeb, professionalism, ethical treatment, and uncompromising patient care are top priorities. When you’re ready to discuss having body contouring in NYC, or any other plastic surgery, you can place your trust in our world-renowned plastic surgeon. You can request a private, confidential consultation at Dr. Loeb’s Manhattan office by calling 212-327-3700.